If you listened to the latest podcast episode, you heard me mention that I originally intended to include this song in the list of songs featured on the episode, but then I discovered new Estelle and scrapped the original plan. I was initially interested in the song because of the Konshens feature on an E-40 song. 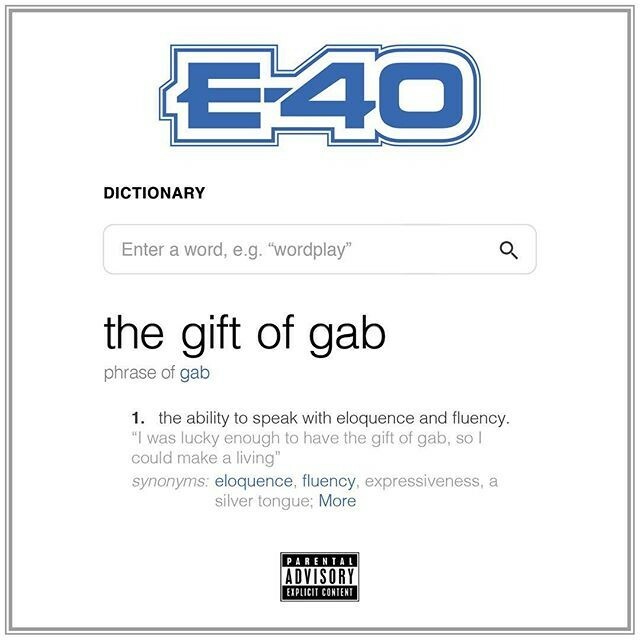 E-40's sound has always been a classic, Cali sound, so seeing a Jamaican reggae singer on the track had me wondering if Konshens was going to blend into the Bay area sound or if E-40 was going to switch it up on a dancehall track. The track definitely was something different than I'm used to hearing from E-40, but he handles the switch very well. The production was outside of his norm, but the combination of all three make for a pretty decent song. With the release of his new album, Gift of Gab, this song would be a good lead off for a single push. I feel like it would introduce some different audiences to each of artist on the song and possibly give each of them some new fans.